By Al -- Let’s say you live in the greater Los Angeles area…you like old BMW’s…you have plenty of spare parking…you have a decent place to work on cars…and you are itching to get your fingers dirty on one of BMW’s most iconic models…a 528e…If all the above describes you, buy this 1988 BMW 528e in Chino, CA for $950. The one body shot the owner provides shows burnt out wasted BRONZIT body color throughout. All the body panels align nicely indicating no previous body repair, and no major alignment issues. All the windows and the sunroof works, and the R134a converted AC is cold as ICE…brrrrrr. The car sits nicely on E34 15” wheels (replacing the venerable 14” bottlecaps) with name brand Goodyear Eagles (no funky Chinese tires) with plenty of meaty tread. The seller provides a couple of engine shots. The engine bay shows better than any ¼ million mile car has a right to. Lots of new stuff under the hood. 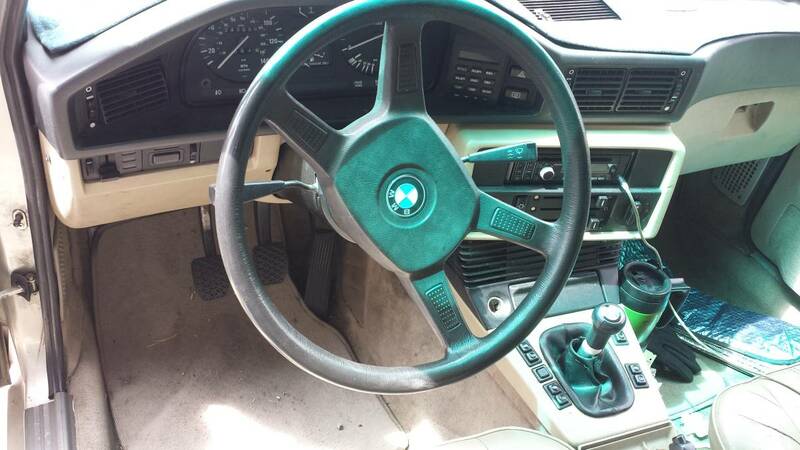 Sure…one of the bigger engine e28’s (533 or 535) will better confirm your man-hood, but good luck busting 20mpg. The 1988 528E sports an upgraded head and engine management system and 127 hp over the previous years’ 121hp. 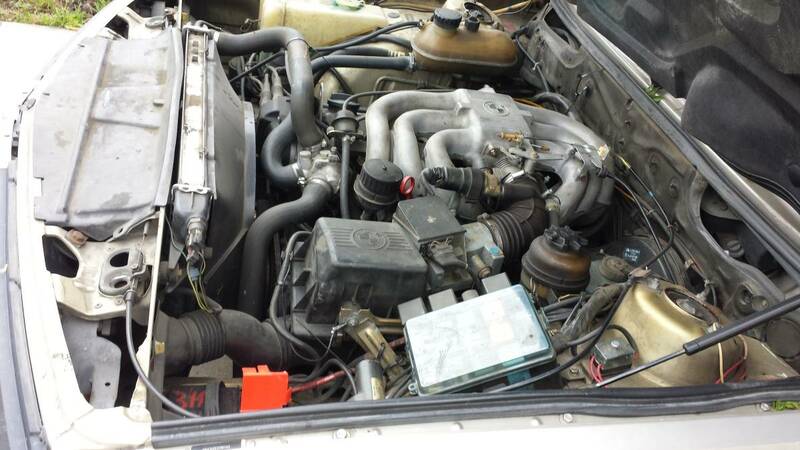 This is the only model year 528e that lends itself easily to the “E to I” conversion…you are only a cylinder head/ intake/ computer swap away from 170hp. 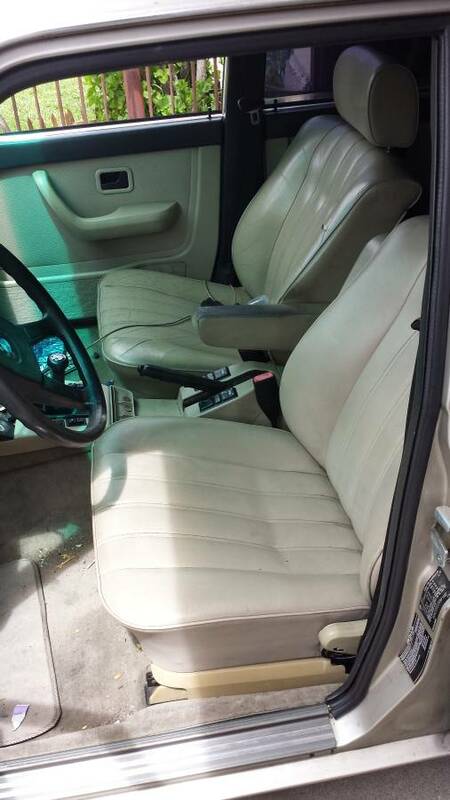 The interior shot shows a nicely recovered (in vinyl) driver seat. All the other seats wear their almost 30 year old patina leather with pride. All door panels are present and accounted for. All windows and sunroof work. WOW!!!! SUCH A DEAL…WHAT’S THE CATCH??? The car is drinking coolant after an unfortunate bout of gridlock in 110F weather on the 91 Freeway. The problem could be easy to rectify, or…not. It would be up to the new owners to find out. It’s in decent shape, but there is no love for the little M20 engine’d E28’s…so maybe this car would best serve as a parts car? GASP. FULL DISCLOSURE…IT’S MY (Al's) CAR. I only planned to keep it for 2 years, but you know how it goes…it grew on me…it’s been 5 years. The AC STILL works, the car isn’t powerful but feels light and tossable with the stick. It needs some work to be saved, or it could be a good parts car. I was daily driving it up until I jacked it up. I thought of myself as cool when I drove it, and I parked in the best parking spots...oblivious to door dings. If I didn’t have 3 other cars, If I had less stuff going on in my life, and if I had a decent place to work on it…I might fix it. Then again…I really want to get some other cool project…I guess if it doesn't sell...I'll have to find time to clear all the boxes out of my mom's garage, and part it....but really don't have the energy for it. I have one of these. It's maybe not my favorite car (that is probably my e28 M5), but I've dumped too much money into it over the years I've had it, with no intention of selling. I did an e2i swap on a non 88 engine, which involves more machine work than the factory manual says is allowed. I don't recommend that, enjoy the eta for the low rpm, fuel sipping, torque beast it is. Instead spend the money refreshing every suspension bushing and tuning the suspension to your taste. How are your hoses? Sometimes old hoses dribble when hot or cold but not both. This is exactly the kind of thing that qualifies as a cheap daily to me. The only two times mine ever let me down was when a vacuum leak in the brake booster made hot starts difficult when I was going to drive it back to work from lunch, and when the half shaft bolts backed out in East Cleveland (many miles from home, and while a much nicer neighborhood than it was in the 80's, not an ideal place to break down at dusk). It was my fault those bolts backed out. I had hastily finished swapping the differential 2 nights prior and didn't torque them properly. Luckily the bolts were held in place by the CV boot, and I still had the tools in my trunk. I did have to walk to the nearest autozone to buy a jack/stands and drag them back to the car, though. Even if you risk getting mugged, you should always hoist a car safely. Had one of these in automatic. Enjoyed it. Never had any issues with it. Only quibble was not enough power at the top end. Setting the cruise at 80 to 85 and the car couldn't keep that speed over anything with much elevation change. 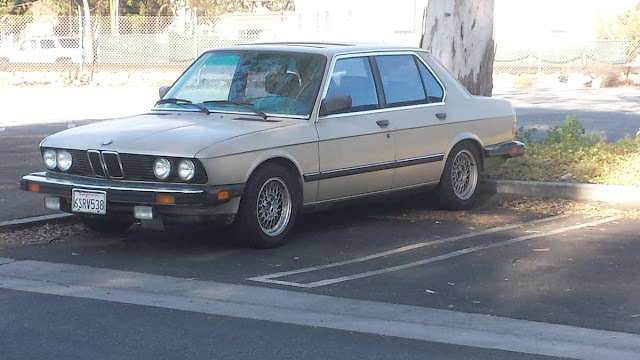 Owning another E28 is on my list. For these situations, the answer is always racecar. How much and how fast? Is it grandma has a little elderberry wine now and then, a three martini lunch, or full Lost Weekend? And what's the oil look like? Black gold, salad dressing, or best foods?